While Magic Leap turned heads at the Game Developers Conference with AR experiences at the Unity and Unreal Engine booths, news broke that the company was the winning bidder for ODG's patents. Speaking of GDC, Epic Games used its pulpit at the conference to announce a new fund to facilitate the creation of new 3D experiences for the Unreal Engine. Elsewhere, a trio of companies demonstrated why investors are hot for augmented reality. 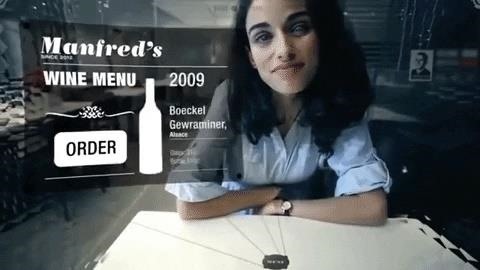 Echoing Magic Leap's early days, "invisible computing" company Mojo Vision attracted a large investment from Google and others for AR technology that the general public has yet to see. As Scope AR showed how the current return on investment in AR comes in the enterprise segment, WarDucks tempted another set of investors with the potential of replicating Pokémon GO's success. As we reported in January, ODG's remaining patent assets were put up for auction, but the buyer was never revealed. However, we now have a pretty good idea of where those ODG patents ended up. In a US Patent and Trademark Office patent assignment filing posted earlier this month, JGB Collateral (ODG's creditor that foreclosed on the patent assets and put them up for auction) lists Mentor Acquisitions One, LLC as the acquirer of the patent assets. You've probably never heard of that company, since it was just formed as a Delaware business entity on January 16. REALITY BITES: In addition to assisting with the introduction of Grordbattle at this week's Game Developers Conference, Unity took the opportunity to highlight the AR apps developed with its platform during the keynote pre-show before showcasing the cross-platform AR Foundation toolkit during the actual keynote presentation. While some widely praised immersive computing initiatives at Google are shutting down, over at Epic Games things are just ramping up, and it involves quite a bit of cash available to indie augmented reality developers and startups alike. At this week's Game Developers Conference in San Francisco, Epic Games, the company behind the Unreal Engine, announced the Epic MegaGrants fund, which will provide developers, students, creative studios, enterprise workers, and even entertainment projects with monetary support from a $100 million pool. REALITY BITES: In addition to announcing the Epic MegaGrants fund, Epic Games gave visitors at the Unreal Engine booth at GDC the opportunity to meet MICA, the virtual companion that will arrive later this year. Four months have passed since Mojo Vision emerged from stealth, and we are no closer to seeing exactly what its "invisible computing" technology looks like. But we do know that Google is impressed enough to back the technology from the startup, as the company's AI-centric venture fund, Gradient Ventures, joined Advantech Capital, HP Tech Ventures, Motorola Solutions Venture Capital, Bold Capital Partners, LG Electronics, Kakao Ventures, and Stanford StartX in a $58 million Series B funding round. REALITY BITES: Google's big news at GDC was the unveiling of its new Stadia video game service and controller, but the company had an AR presence at the conference as well. Visitors to the Google booth were able to play an AR escape room game built on ARCore and the Cloud Anchors multiplayer protocol. While the tech industries giants and eager startups chase the dream of widespread consumer augmented reality, enterprise AR is living the dream today. Now, riding on the strength of present-day return on investment over future potential, enterprise AR platform maker Scope AR has closed $9.7 million Series A funding round. REALITY BITES: Smartglasses maker North rounded out the first leg of its Focals pop-up shop roadshow in Santa Clara with stops at Intel, Google, and Facebook. The company will continue on to Vision Expo East, the Intel Capital Global Summit, Amazon's MARS Conference, and plans to build a second mobile shop for the spring. According to Venture Beat, EQT Ventures led the round, with Suir Valley Ventures and other investors also participating. The funding will enable WarDucks to develop a location-based AR game akin to Pokémon GO. REALITY BITES: Niantic was also out in full-force at GDC, erecting a real-life PokéStop and Ingress Portal and giving out some sweet swag at its Yerba Buena Gardens outdoor booth. The company also used the conference to announce that its Netflix series based on Ingress will debut on April 30.